After one year of amazing parties, join us in a celebration of 2017 & a fantastic welcome of 2018. Pull out your best costume, wear a mask and be ready for a night of dancing, with a special live performance of the extraordinary Taraf de Caliu. 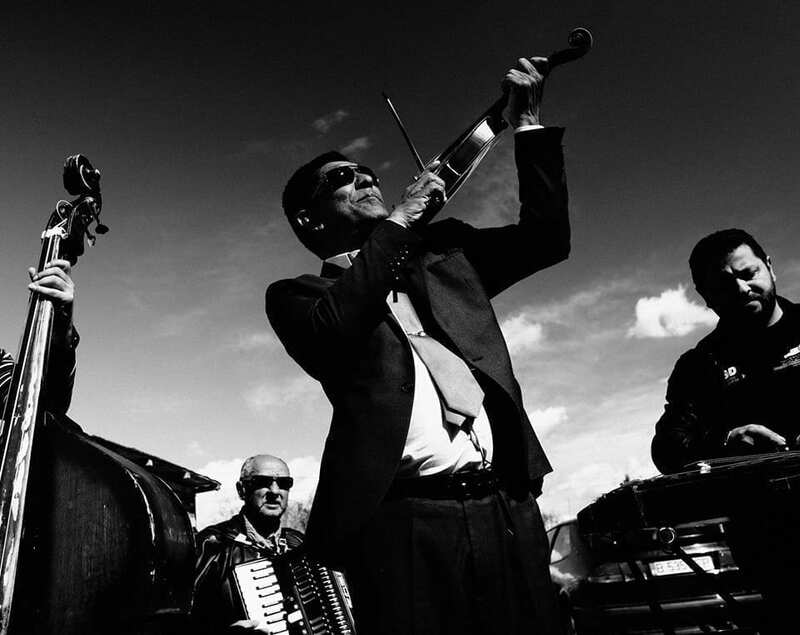 The band brings together legends of gipsy lăutarească music, the founding members of Taraf de Haidouks, which were awarded by the BBC World Music prize for Best Group in Europe & Middle East. For registration >>> salut@apollo111.ro. Limited seats. We will open the theatre hall, where dinner will be served ON THE STAGE. The menu is exquisite. Taraf de Caliu brings together legends of gipsy lăutarească music, the founding members of Taraf de Haidouks such as Gheorghe „Caliu” Anghel, Robert Gheorghe, Viorica Rudăreasa, Marius Manole, Ionică Tănase, Sile Neacșu. Since 1991, the year in which their music began taking on western Europe, the musicians from Clejani have performed under Taraf de Haidouks name all over the world in places as culturally different as possible – Tokyo, Paris, Singapore, New York, Istanbul, London, Los Angeles. If we are to name just a few of their fans and collaborators, we’d go for Yehudi Menuhin, Kronos Quartet (alongside which they produced), Johnny Depp (with whom they starred in “The Man Who Cried”) and Yohji Yamamoto. In 2002 the musicians were awarded by the BBC World Music prize for Best Group in Europe & Middle East. Although we are inclined to push forward their recent achievements in the music industry, what makes their performances so powerful is not the last 10 or 20 years in which they were exposed to such diverse cultures, but their own cultural & musical heritage. The group is formed by authentic lăutari that have grown and developed around their culture’s music, have performed since they were children and to whom music is life. They are the last generation of its kind. Their craft is the result of centuries of gipsy culture transmitted through music.